The “multi-generational” dimension simply means that all ages and life-stages can find a home here. Young or old, single or married, kids or no kids – you can find meaningful relationships and a place to grow into Christ-likeness at Ingleside. The “next-generation” dimension means that we make an intentional and significant investment in passing the baton of faith to preschoolers, children, middle school students, high school students, and their families. We embrace seriously and joyfully the biblical mandate to “tell to the coming generation the glorious deeds of the Lord” so that they might “set their hope in God” and “keep his commandments” (Psalm 78:4-7; cf. Ephesians 6:4). Three snapshots of our church family in recent days illustrate well the multi-generational and next-generation vitality of fellowship. Snapshot #1. On the Friday before Thanksgiving, our staff hosted our annual Senior Adult Worship Service and Luncheon. It begins with a worship service in the Chapel that includes music, testimony, remembrances, a biblical message, and the Lord’s Supper. It concludes with a great feast served by our staff in the Multi- Purpose Gym. On November 16, 2018, 337 senior adults and staff gathered for this joy-filled celebration. Snapshot #2. Tomorrow afternoon, Friday, January 18, 2019, buses will depart Ingleside bound for a weekend winter retreat (called AWAKE) in Travelers Rest, South Carolina. 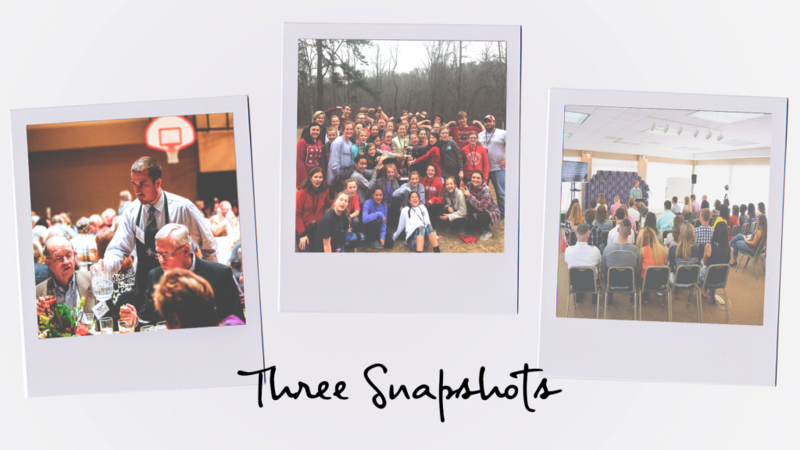 Led by Pastors Justin Nalls and Brett Brandewie, this weekend of worship, discipleship, and fun will include 360 middle school and high school students and their leaders. Snapshot #3. On Sunday, January 6, more than 1,300 people were in Sunday Bible Study classes at Ingleside and the generational balance was remarkable. 52% were high school age and younger, while 48% were college age and older. So, by God’s grace and for God’s glory, Ingleside continues to be a healthy, “multi-generational church with a next-generation orientation.” God grant that it may continue to be so! It’s a great joy to be on this journey with you, and I remain convinced that the best is yet to come!